In this week's podcast: milk price cuts, farmers' opinions on the new suckler scheme, trailer loads of machinery news and a new beauty column in Irish Country Living. Listen to discussion from the newsdesk on the release of individual payment details, find out about weather impact on silage and sprays and hear from Country Magazine's winning Bloom garden. Dawn Meats has become the second Irish beef processor to obtain a US export licence and has applied to have French merger plans cleared by EU competition authorities. Ahead of Friday's deadline for BPS and BDGP applications, we round up experts for last minute advice - and we hear from the farmer facing €144,000 in tax to transfer his co-op shares to his children. Is fibre the light at the end of the tunnel? Last week, Thomas Hubert was told after fighting for more than three months to have broadband installed at his Co Meath home that the construction of a new network would solve his woes. Crédit Agricole is offering new policies to farmers interested in insuring themselves against the risk of poor grass growth. A cattle dealer from Mayo is bringing a High Court case against Aurivo Co-operative Society. Why is it so hard to get broadband in the 21st century? As the Irish Government at last prepares to select a private operator to roll out broadband to rural areas, Thomas Hubert explores the challenges of getting online. As all eyes are on the Balmoral Show, we preview the event and talk to Co Tyrone cricket star Boyd Rankin. Meanwhile, cattle breeding is gathering speed and mart managers discuss their future. French Agriculture Minister Stéphane Le Foll has added €2m to existing aid measures for suckler farmers hit by low margins. After two years of investigations, the French authorites have pressed charges against eight people suspected of passing horsemeat as beef. Teagasc has written to 1,700 farmers using its joint planning service with FRS to warn them that their GLAS applications may not be complete by 22 May. Listen to our livestock specialists go throuh the details of the Beef Data and Genomics Scheme and hear from Animal Health Ireland as well as Matt Dempsey, who edited the IFA's 60th anniversary book. Listen to this week's podcast if you're wondering whether to apply for GLAS, interested in sharemilking or worried about the impact of social media on teenagers' exams. 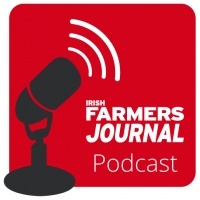 In this week's podcast, Farmers Journal specialists discuss Farm Safety Fortnight and crops and grass growth as well as Ireland's love affair with gardening. The French government has said farmers could transfer existing leases with their references and entitlements attached, allowing many start-up farmers to draw higher payments than previously thought. The US authorities are considering mandatory crop rotation and other measures to slow down corn rootworms' increasing resistance to the toxin produced by genetically modified maize.